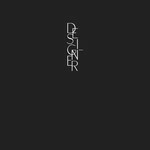 Aldous Harding announces the release of her third album, Designer, due out April 26th on Flying Nun Records in New Zealand. Designer finds the New Zealander hitting her creative stride. After the sleeper success of Party (internationally lauded and winner of Taite Music Prize 2018, two NZ Music Awards and a Silver Scroll nomination), Harding came off a 100-date tour last summer and went straight into the studio with a collection of songs written on the road. Reuniting with John Parish, producer of Party, Harding spent 15 days recording and 10 days mixing at Rockfield Studios, Monmouth and Bristol's J&J Studio and Playpen. From the bold strokes of opening track 'Fixture Picture', there is an overriding sense of an artist confident in their work, with contributions from Huw Evans (H. Hawkline), Stephen Black (Sweet Baboo), drummer Gwion Llewelyn and violinist Clare Mactaggart broadening and complimenting Harding's rich and timeless songwriting.